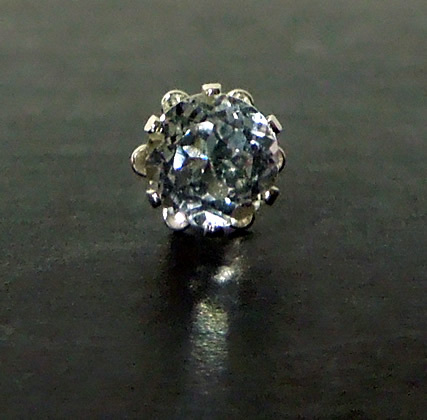 Notes: This single crystal ear stud measures 5 mm / .65 ct. and is machine faceted to the star round cut. 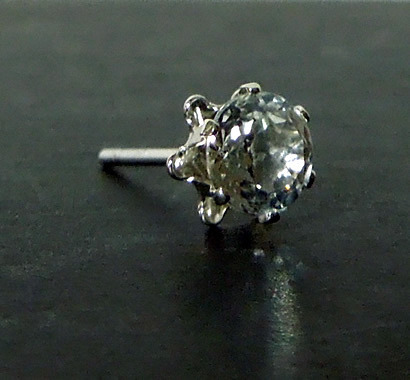 It's set in a sterling silver buttercup style earring. 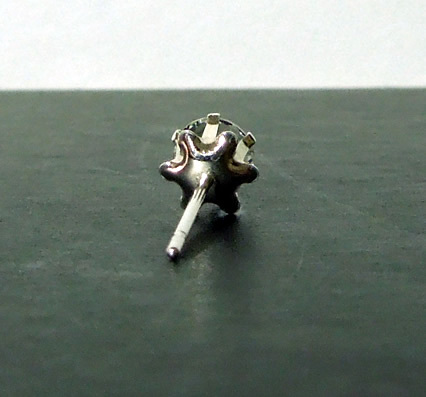 It is the LAST ONE AVAILABLE, please do not try to order additional quantities. 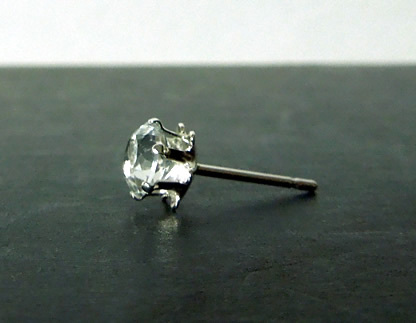 A single stud Herkimer crystal earring.